The Football Front: Michael Owen: did he ever fulfil his true potential? Michael Owen: did he ever fulfil his true potential? Michael Owen is a figure who divides opinions. Some view him as a player who was once a World Class player and a player who took the world by storm, but for others it’s a completely different story. But almost everyone agrees in his younger days, Owen was world class. To put things into perspective, Michael Owen is the 6th most profile striker in the Premier League era, with 149 goals. He's scored more Premier League goals than, Teddy Sheringham, Dwight Yorke, Ian Wright and Ruud van Nistelrooy. But the real question which divides many is: did Michael Owen ever fulfil the potential that surrounded him during his teenage and early years in professional football. Indeed, this is a rather inflammatory question which stirs a lot of debate. 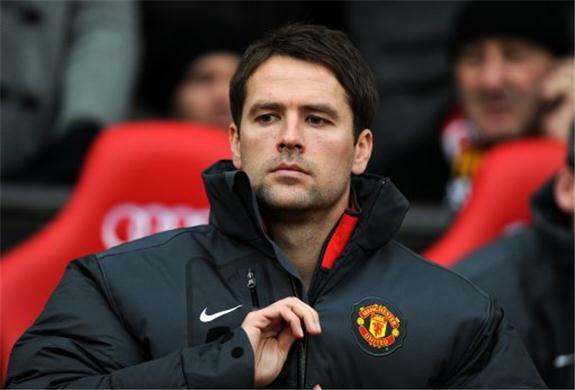 Especially as present Michael Owen, now 31, spends most of his time sat on the bench at Man United whilst lapping up the trophies. But rather ironically, as a teenager, Michael Owen was a certain starter for his side and more importantly, Owen was a consistent goal scorer at the tender age of 18. It’s very easy to forget how much of a prodigy Michael Owen was when he was a teenager. Owen’s scoring knack began at just 17 years of age. He even scored on his Premier League debut in 1997 away at Wimbledon. But that goal was a plain glimpse of what was to come from Michael Owen. The following season, Michael Owen’s first full season in professional football, the then 18 year old scored a total of 18 Premier League goals. A demonstration of his achievement is truly represented by the fact the teenager finished joint top goal scorer alongside Dion Dublin. Michael Owen took the Premier League by storm. He was untouchable. His electrifying pace, movement and clinical finishing made him an incredibly potent and threatening striker– even for the most experienced of defenders. The fact Owen, a mere 18 year old, a player had no previous Premier League experience could take England’s elite league by storm summoned many to believe Michael Owen would become a global superstar. A player would end his career in the same bracket as many English legends such as Gary Linekar, Kevin Keegan and Alan Shearer. But the expectations of his potential grew to a sky high level by the 1998 World Cup in France. His magnificent individual goal against Argentina proved not only could he compete with the best in England, he could also compete with the best players in the world. After this glorifying World Cup for Michael Owen was destined for more than just a global superstar, he was perceived as a player who would go onto be an all time great footballer: a player in the ranks of Pele, Ronaldo and Maradona. To be fair to Owen, with the global attention which was following and expecting from him, he initially didn’t fail to deliver. His progression continued in a substantial fashion after the 1998 World Cup. In the 2001/02 season Michael Owen reached his best goal tally for a season. He scored 28 goals in 43 games. Upon reflecting, one could argue the 2001/02 season was Michael Owen’s pinnacle season. Owen was single handily winning games for his club and this was internationally recognised. The 2001 FA Cup final between Liverpool and Arsenal is the perfect example of Owen single handily changing the game for his team’s favour. In the final, Liverpool for most of the match were second best and looked odds on to lose the final. But a five minute spell of brilliance from Michael Owen transformed the game for Liverpool. Owen’s potent finishing and blistering pace caught a dominate Arsenal side completely off guard. Michael Owen was the star. He was England’s finest striker. No English striker was anywhere near Owen’s abilities. The year 2001 ended with Michael Owen being crowned with FIFA’s Ballon d’Or - a vivid symbol of Michael Owen’s abilities and how they were leaving the footballing world in absolute awe. However, Michael Owen for all of his talents was not enough for Liverpool to consistently challenge for the title. Continuously, Owen would lead by example scoring in the bucket loads, single handily carrying Liverpool from one game to the next. But his team mates were often no where near to his level of performing. Inevitably, the writing was on the wall. In order for Michael Owen to reach the pinnacle of European football, he would have to win trophies. And that meant leaving his beloved Liverpool. In 2004, this happened. Michael Owen transferred to Spanish giants Real Madrid. To many, this move was Owen’s downfall. Some label it as the end of the golden boy era for Michael Owen. Make no mistake, Michael Owen was no golden boy at Real Madrid. The talented Englishman spent most of his time fighting for a place on the bench, often drawing criticism from the Spanish press and the fans for his inconsistent form. Within a year, Owen arrived back in England. Owen’s time at Newcastle was spoiled with injuries. Had Michael Owen returned to England and managed to stay injury free, maybe the striker would be performing to a very high level to this day, thus assisting him fulfil his full potential. But at Newcastle, Owen would take a few steps forward, scoring a number of goals. Then he would take a few steps back and would find himself injured for a lengthy period. The consequence of continuous lengthy periods on the sidelines had adverse effects on Owen’s abilities. Owen style of play depended on his pace and sharpness. But without these components Michael Owen lacked the cutting edge, the confidence and crucially, the chance to be a serious thereat to the opposition. 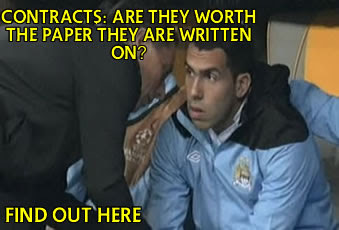 Some argue, Michael Owen was an early peaker, but one can never be sure of this. If Owen hadn’t suffered from a history of injuries in the second half of his career, maybe he would have continued to progress or at least maintain his fantastic goal scoring form. To be fair, Owen’s injuries were not spontaneous occurrences. They were subtly arising on the surface, even when Owen was at his peak. Tom Nash (@ffootballer) argues because Michael Owen was exposed to so much high level football at a young age, it would inevitably end up catching up with Owen’s body. This is a fantastic point. By the age of 21, Owen had already played more than 95 Premier League games. Not only this, the sheer expectation, and summer tournaments at a young age must have had an effect on his body. One must remember, even when Owen was in his early twenties, he suffered some lengthy injuries. In the 1999/2000 season, Owen played 30 games in total. While in the season prior, he appeared 40 times. Perhaps if Michael Owen’s development was better protected by his national team and club, maybe Owen could have consistently played and performed at the highest level for a longer period of time. His sudden thrust into the highest level of football and his comfort in these surroundings created massive expectations which Owen had to strive to conform to. It’s sad to say, but Michael Owen’s injuries have hindered him from reaching his true potential. If 10 years ago, one would ask where they would see Michael Owen being, many would speculate he would be playing week in week out continuously finding the net. The grim reality is that Owen, finds himself predominantly on the bench at Liverpool’s arch rivals Man United. 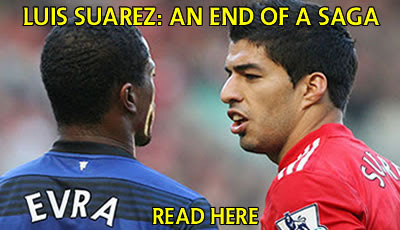 Something which I’m sure most United and Liverpool fans would have never imagined. However, it cannot be denied. Michael Owen WAS world class. But in the early period of his career. But during a footballer’s conventional peak years (26-31 years old), Owen at that age was never able to regain his world class label. But Owen was a special player. He held the hopes of the nation, he held the hearts of many football fans. Off the pitch, even at a young age Owen was a true role model not only to children, but to adults. The regrettable aspect is that poor protection of the striker from his national team and clubs along with some poor transfers and the critical loss of crucial abilities have meant Michael Owen never truly fulfilled his potential. But when Michael Owen retires from football, he probably will reflect on his career, considering all the if’s and buts. However, when he looks at the medals he has won and what he achieved in his career he will look back at his career with great pride. Owen has won 89 England caps, scoring a sensational 40 goals. He has a Premier League medal, an FA Cup medal, three League Cups medals and one UEFA Cup medal in his cabinet. Michael Owen was a special player, a world class player at times, but his decline in the second half of his career hindered him reaching his true potential.